For those who don't already know, Top Ten Tuesday is hosted at The Broke and the Bookish. This week, we're talking about classic novels. I've read quite a few classics over the years, but I still haven't read as many as I'd like to. I even made it a life goal to read everything by the Bronte sisters and I'm not even close to fulfilling that. So, this is my current top ten favorite classic novels. I tried not to include too many 'modern classics' as well as nonfiction novels since there are so many that could be considered and would probably take up another list of ten. Oh, Jane Eyre. Where do I even begin? If I was forced to pick just one favorite novel, I think this would be it. The writing is impeccable. 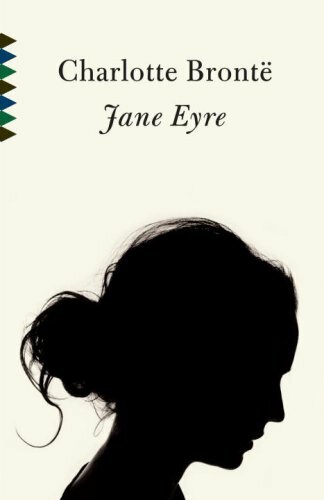 Jane is a self-respecting character, Mr. Rochester is perfectly imperfect, and both are so feminist for their time period. All the while, this story is so incredibly emotional; my heart kept fluttering because of how romantic it could be and my heart kept breaking when it seemed that everything was going wrong. All of that, plus a mysterious element - what's not to love? This book changed everything for me. 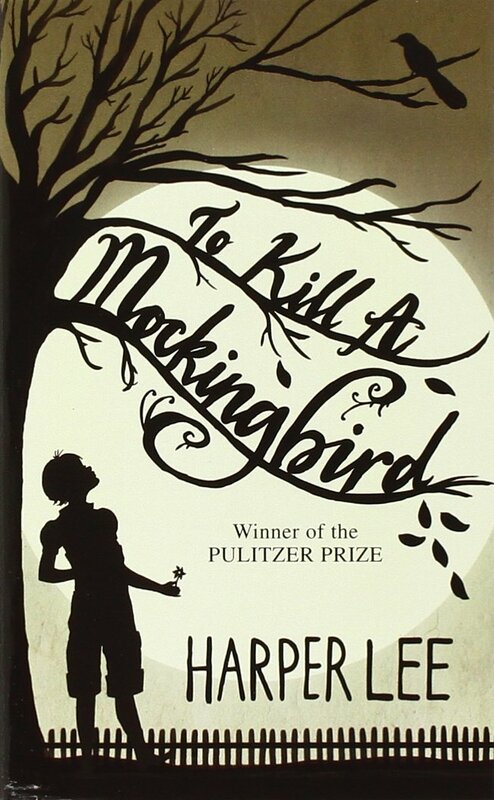 To Kill a Mockingbird is the first classic I read that wasn't C.S. Lewis' The Lion, the Witch and the Wardrobe, and I loved it. There are a lot of different things going on in this book that are moving and can capture just about anybody, all seen through the eyes of a child. Between Tom Robinson and Boo Radley... Life just isn't fair; I always choke up at the end of this book. Besides, I think we can all agree that Atticus Finch is one of the most noble characters ever created. People have been considering Life of Pi a modern classic, and frankly, I believe it deserves such a title. This novel is split into three parts. In part one, we get to understand Pi as a character, for he's quite complex. Even though the pace was slow, I enjoyed reading about him and his beliefs concerning subjects such as animals and religion. Part two is full of struggle and hopelessness, but it's also miraculous. Those two parts already made the book a unique reading experience, but part three... Part three ruined my life. It just slaps you in the face and fills your head with questions. It's unlike any other book on the planet. I read The Catcher in the Rye when I was fourteen. 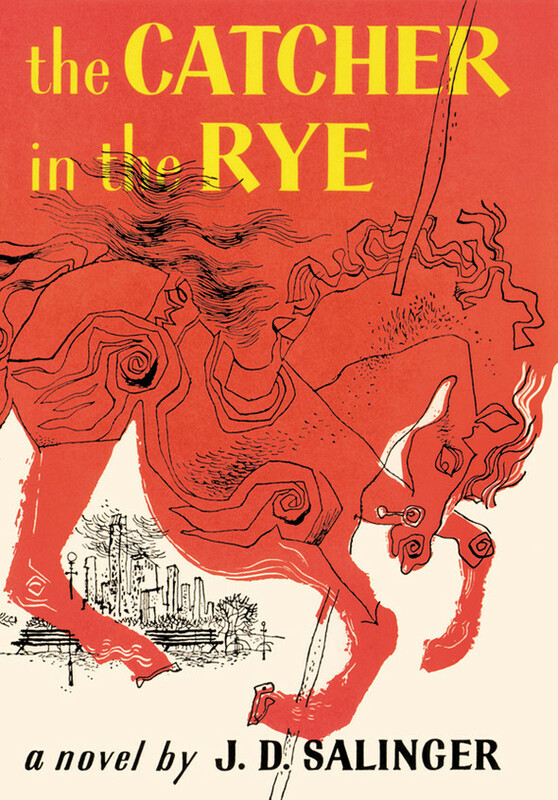 Due to Holden Caulfield's infamously unusual narration, it's a book that people seem to love to death or hate with a burning passion, and I loved it. I understood the teen angst; I understood what Holden meant about the world being so "phony." But lately, I've been thinking I need to reread it. I'm afraid that because I've grown up I won't get as much out of it as I used to. I think I read it at the perfect time in my life; hopefully my insight hasn't gone away. I never heard of Their Eyes Were Watching God until this year when a teacher recommended it to me. The story follows a woman named Janie who gets married three times. The first two men don't treat Janie very well, but then she finally meets Tea Cake, the third, and she doesn't care what anyone thinks of them. Janie's a strong character with a bittersweet story... I couldn't help but cry when I read this one. Sylvia Plath's The Bell Jar is the most depressing novel I've ever read alongside Stephen Chbosky's The Perks of Being a Wallflower. The writing in this book is gorgeous; it's probably what I liked most about it. While the ending is a bit open-ended, knowing that the bell jar did in fact cover Plath again later in her life makes it all so melancholy. I always thought the metaphor of this book was a bit peculiar, and even though I got Plath's drift, I don't think I truly understood it until I saw someone who seemed to be under a bell jar. I was quite surprised by how much I enjoyed this book; it went in a much different direction than I initially expected. The Great Gatsby is a story with a high amount of drama and beautiful prose. Each character is connected in some way or another, and all of them are suffering the consequences of their own actions or the actions of others'. It's quite an intriguing read. This book scares the crap out of me. George Orwell's vision of the future is the worst possible scenario that anyone could ever come up with. No one has any privacy - not even within their own skull. I don't see how anyone can read 1984 and not be impacted in some way. I wasn't excited to read this book for English class because I really had no idea what to expect, but I ended up really enjoying this one. The main character isn't in an ideal state of mind and it's easy to get frustrated with his perception of events (in addition to some of the events themselves), but it's tragic because of this. It's one of those books that kept me reading as much as I could. 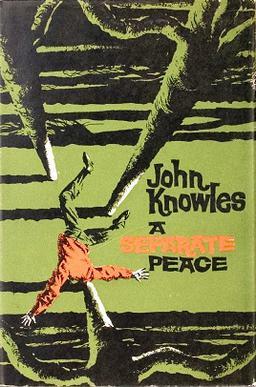 Altogether, A Separate Peace was a big surprise for me. My thought upon finishing this book: "What a mess." And I don't really mean that in a bad way. 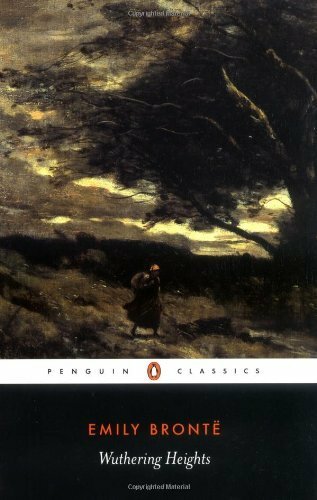 Wuthering Heights is such a crazy story; it was hard for me to get into it in some parts because I just got so frustrated with Cathy and her ability to make sure nothing goes well. I've never read anything quite like this. This novel has such a strange, unique feel to it... It's bound to leave an impression on anyone who reads it. 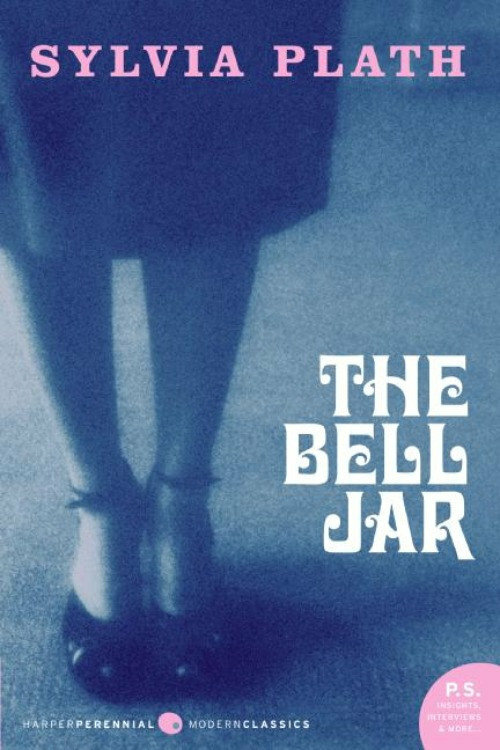 I have been meaning to read the Bell Jar for a long time now. I have heard several good things about it. Seriously I should pick it up soon. Oooo! Love that cover for To Kill A Mockingbird! I might just have to buy another copy just to have that cover! I really enjoyed The Catcher in the Rye. Glad you did too! I really love that cover too! :) And yay, a Catcher in the Rye fan! I've noticed that people either love that book or hate it. Fantastic List. I love Catcher in the Rye, The Great Gatsby, and both Bronte novels. To Kill A Mockingbird is such a great book. I read it in school and have re-read it several times since. Great list. Some of these are on my TBR list. Thanks for visiting The Book Connection.